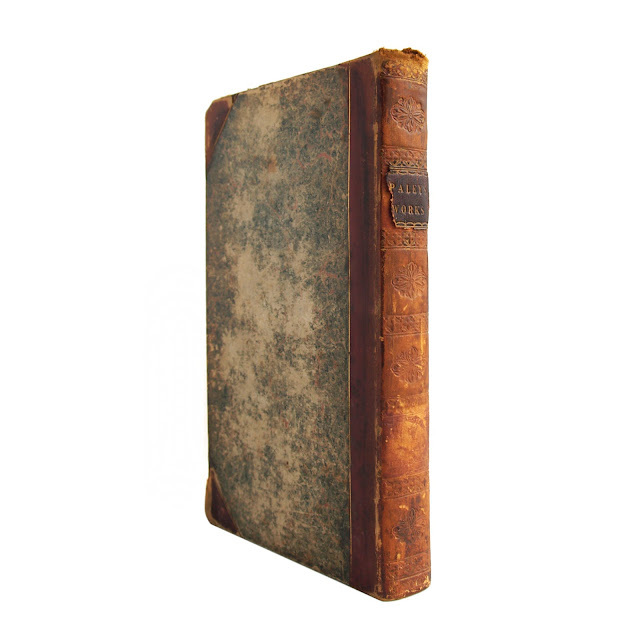 This antique hardcover book is bound in marbled boards with 3/4 brown leather on the corners and spine. 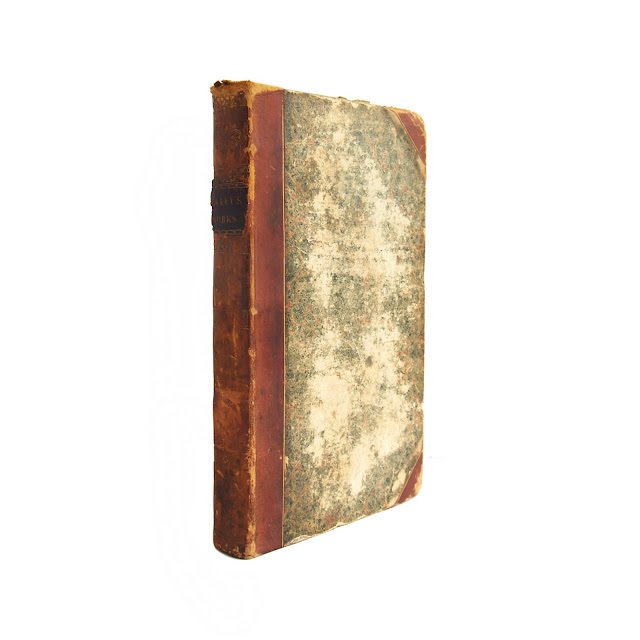 Spine has stamped gilt work and borders, with gilt lettering on a black leather spine. Marbled endpapers. 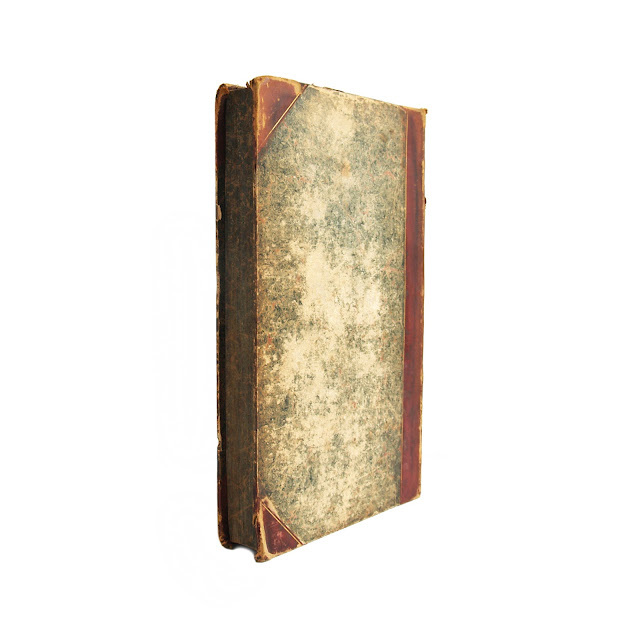 Covers are worn at edges and rubbed; leather has some chips, but most is present and intact. 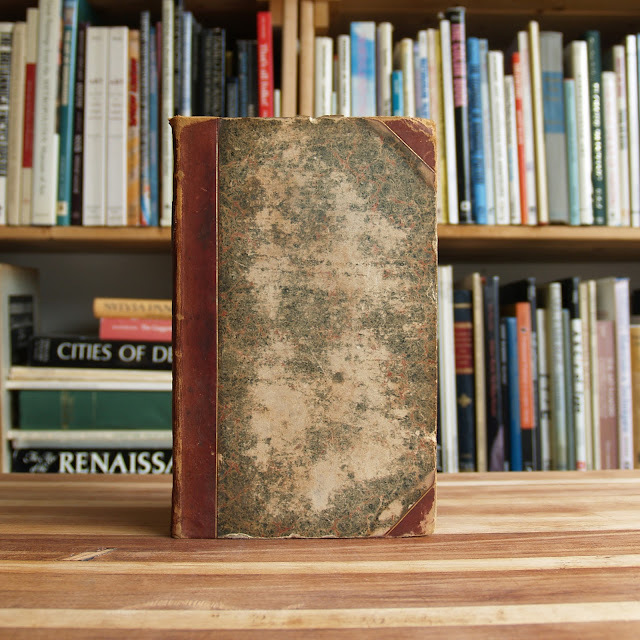 Spine label chipped,wearing at edges, a bit loose. Inner pages have some foxing. This is Vol. 1 of 2. 374 pages; approx. 5"x8".